Were you fiddling with different files and folders on your Windows 10 system and suddenly realized that you’ve deleted an important work-related folder? Well, don’t worry; you’re not alone. We deal with these customer queries every day. Many Windows users accidentally delete folders on their PC and empty the recycle bin to permanently delete the files, and then they realize that they need the folder back. Nevertheless, don’t get hassled as you can recover deleted folder on Windows 10 easily. Want to know how? Read further, and you’ll know soon. 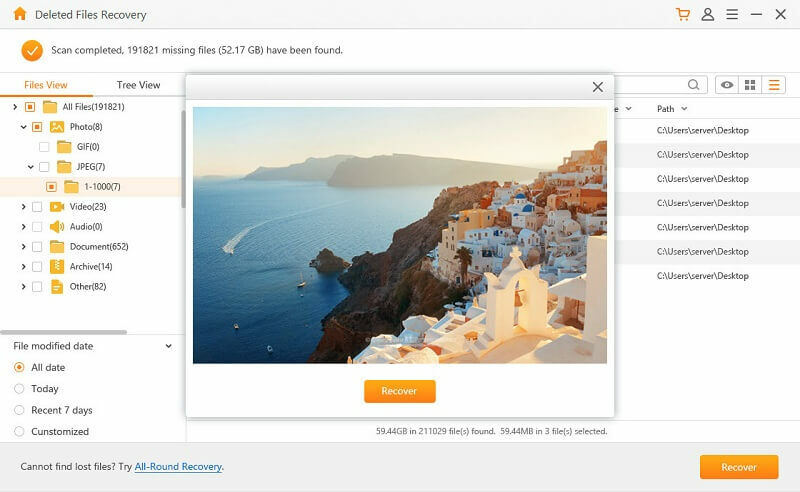 No lengthy procedures, no time taking steps; now you can quickly recover deleted folders on your Windows 10 system using one of the most sought-after data recovery solutions on the market: AnyRecover. No matter what the cause, you can recover lost, missing, or deleted data using AnyRecover Data Recovery Solution. It is 100% safe and easy to use. Sometimes, without even realizing it, you lose critical folders and files on your Windows PC. This is where the importance of a data recovery pal like AnyRecover comes into the picture. The online software comes with various scan solutions to find missing folders and files in just a matter of minutes. Recover deleted folders on Windows 10 quickly and easily with no tech required. 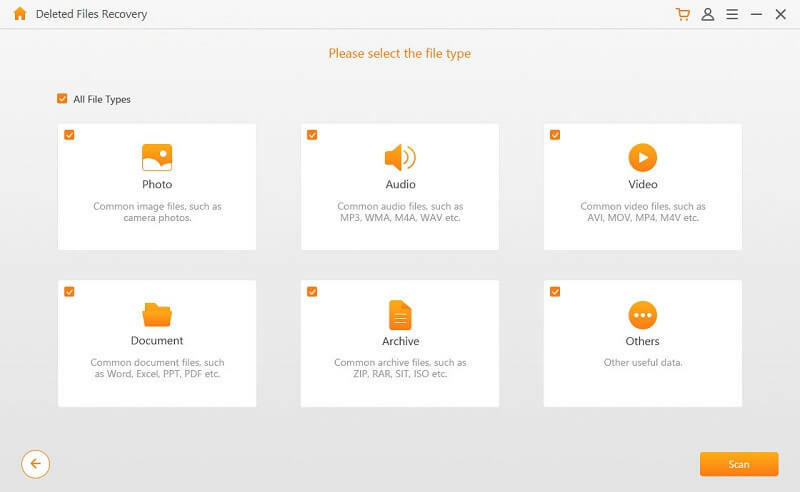 Recover different types of data – videos, images, emails, documents, and much more. Recover different storage devices – external drive, hard drive, USB drive, memory card, and many more. Recover 3 files for FREE before you decide to make a purchase. Learn the easy steps to recover deleted folder via AnyRecover here. 1. 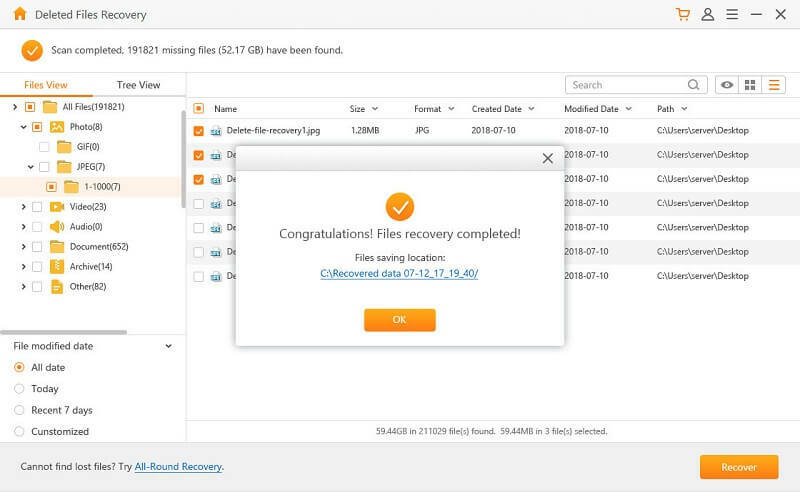 Pick the Recovery Mode: Launch AnyRecover Data Recovery solution on your Windows PC and pick the “Deleted Files Recovery” mode. 2. 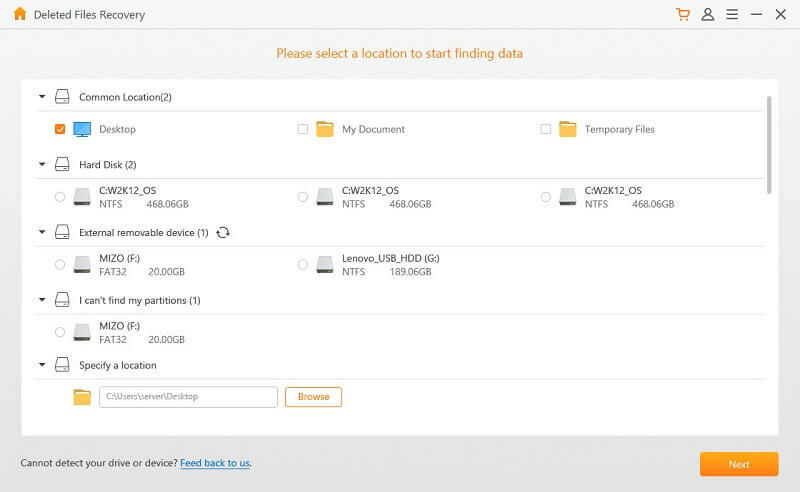 Pick a location: To start searching for the lost folder, pick a location where you may have lost the data including external removable drives, hard disks, etc. Once you’ve picked the location, hit the “Next” button. 3. Pick the data type: In the next step, pick the type of data you would like to recover and hit the “Scan” button to initiate the scanning process. AnyRecover will quickly scan for the lost folder on your Windows 10 system and display the results of the deleted files in the folder. 4. 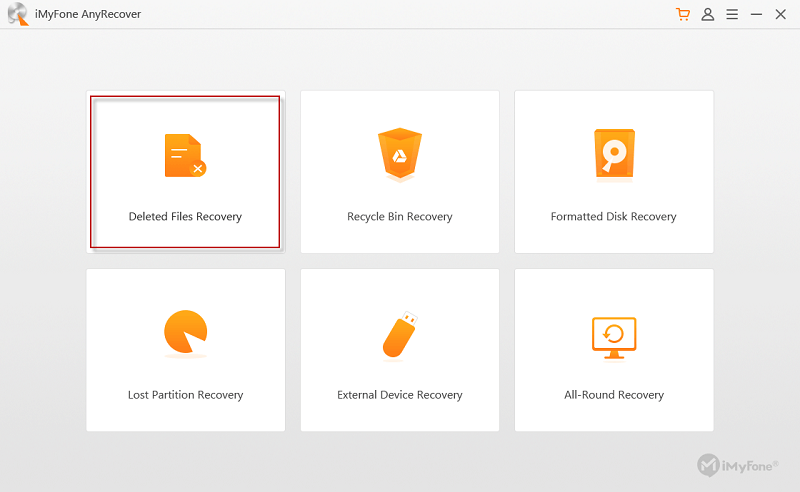 Select and recover: From the list, pick the files you want to restore and hit the “Recover” button. 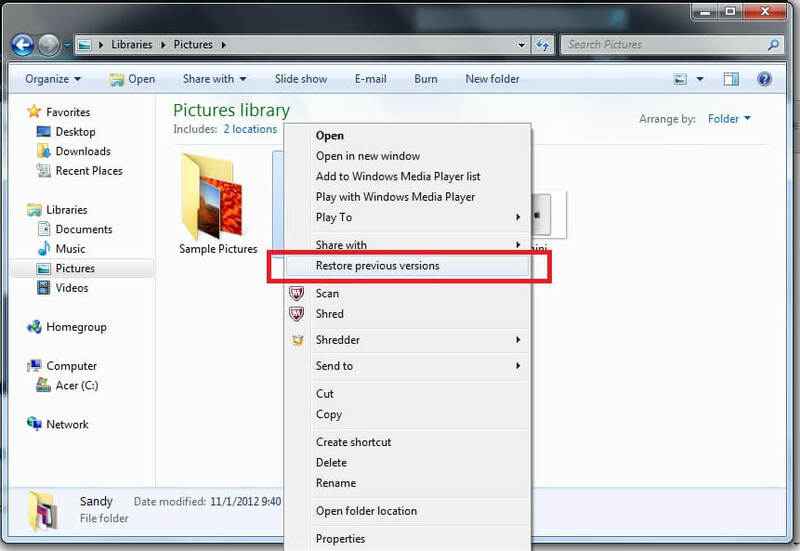 If you’re unable to find the contents for the deleted folder, you can try the “All-Round Recovery” mode. Other than using AnyRecovery, you can try to recover deleted folder on Windows 10 using “File History,” a free Windows backup and restore functionality that is a part of Windows 10. Open the location or folder that contains the deleted folder or files on your Windows 10 system. 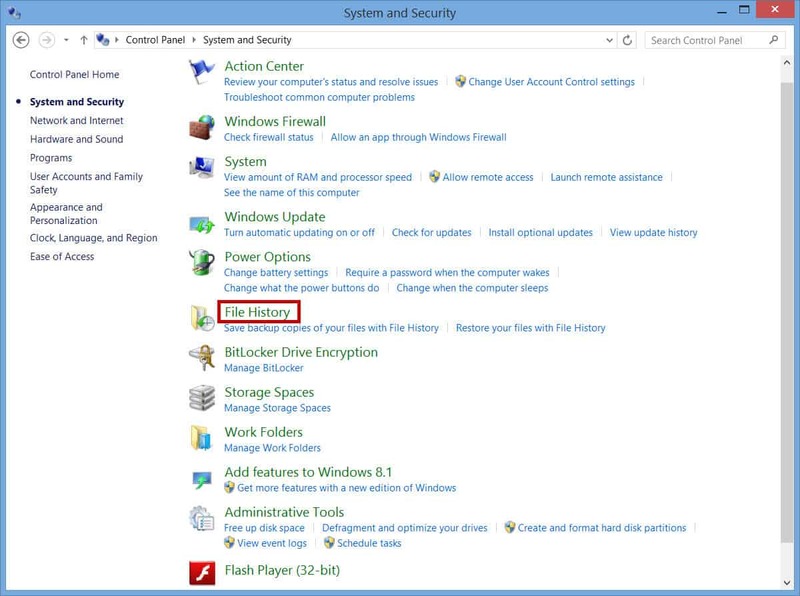 Type “File History” in the Windows Search Bar and open File History. Once the File History window opens, search for the path to the folder where you lost your folder or files. All the files in the most recent backup will be displayed. Select the file you wish to recover and click the green “Restore” button. If your Windows 10 system warns you that a folder or file with a similar name exists, pick the “Replace the file in the destination” option to get your deleted folder back. Note: To use this recovery method, you need to create a backup first. Create a new folder on the desktop and rename it with the same name as the deleted folder. At this point, Windows will search for the deleted folders with the same name and linked dates. Pick the latest version and click the “Restore” button to undo the folder deletion and you’ll get your permanently deleted folder back. Note: This recovery method works when Windows backup functionality is enabled. Now that you know 3 methods that you can use to recover deleted folder on Windows 10, starting from the AnyRecovery method, you can try them one by one, and see which of them works best for you. Before you purchase the full license, you can take a free trial and see how AnyRecover works. If you have any questions related to deleted/missing folder recovery on Windows 10, please feel free to share your queries. We’ll get back to you as soon as possible.